The recent mass shooting in Parkland, Fla., provoked a rash of conversation about what schools could or should do about student mental health. Left out of the discussion was the teacher’s perspective. My purpose here is not to propose “the solution” or “a solution.” I see all sorts of promise and peril with the ideas already out there: more counselors, more school choice, school nurses as “detectives,” transparent backpacks, and so forth. This NPR series does a good job addressing the options. What I want to do is discuss what this issue looks like to millions of teachers. Let’s imagine a high school teacher. She teaches four or five classes per day, of 15 to 40 students per class. So she interacts with 60 to 200 teenagers each day. Most of them have normal adolescent angst. But mixed in there are perhaps 2 percent bipolar students, 4 to 7 percent depressed students, and 8 percent with severe anxiety. Add it up, and she is probably seeing eight to 30 students each day with fairly pronounced mental health issues. But who is who? She doesn’t know. Many teachers discuss outlier students with other teachers. "How is Jane in your class? In my class she cries a lot.” This is partly to gain intel, partly just to cope. There’s usually a wave of these conversations in September, and then a steady drip of them as teachers notice changes over the course of the year. Even if academics are going badly, a teacher might instead try to praise an extracurricular achievement, and lacking even that, praise a haircut, jacket, earrings, or tattoo. Though even there, teachers are increasingly fearful of some sort of complaint, given our era. But the numbers are daunting. A teacher might have one or two or three kids they end up mentoring a lot in any given year: trying to support them, in their various individual styles. It’s tougher than it sounds. Rookie teachers are eager to try this but don’t know what to say. Experienced teachers might have better ideas on how to engage, but they’ve probably been burned or disappointed multiple times in their careers. There’s a lot of rejection involved here for teachers. The number of skilled, experienced teachers who remain willing to put significant extra hours into this sort of mentoring work is, unfortunately, smaller than one might wish. Logistical issues: Sometimes there are no counseling “slots” available or parent permission is missing. Communication issues: Typically the teacher receives no update from the counselor, because of arguably misguided views on privacy; many student and parents would be willing to waive privacy in a limited way to allow counselors to communicate with teachers, but the default setting is often zero communication. Efficacy issues: Counseling isn’t magic even when done by the best in the field, and the counseling skill found in schools is wildly uneven; often teachers do not see changes in student behavior, and lose faith in the school’s counselors. Other times, the school claims to have programs—small “Advisory Groups” for example, where teachers could help distressed students—but most teachers find these programs uneven, and they’re not meant to provide clinical help. Expertise issues: It is often hard for teachers to distinguish what may be “normal adolescent issues” from real mental health problems, and so they worry they could offend a student or her family with a referral. Do some schools deliver excellent mental health services? Sure. For example, I’ve seen some elite boarding schools with impressive, high-dosage help from the school counselor, leading to, as needed, referrals to competent outside psychiatrists. But suburban public schools typically have a more modest set-up, and high-poverty schools tend to have even less. If we extrapolate from the national statistics about mental health and class size, a high school teacher probably sees eight to 30 mental health situations in their classrooms each day, typically unaddressed or inadequately addressed. 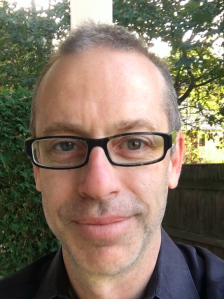 Michael Goldstein, a FutureEd senior fellow, is the founder of Match Education in Boston: a college prep charter school for low-income kids; an embedded Graduate School of Education; and a program to share best practices.